Hello from the Ramah in the Rockies Ranch! As I type these words, the weather is growing warmer and the snow banks are beginning to melt. Spring is in the air and that means summer is soon to follow! With our 2018 season quickly approaching, I wanted to take this opportunity to update our community on a number of exciting program changes that we will be implementing this coming summer. As you may know, Ramah in the Rockies was recently awarded the 2017 Hazon Seal of Sustainability, which recognizes organizations that have worked hard over the past year to serve healthier food, reduce waste, and become energy efficient. This honor has inspired us to think about what else we can do to both reduce our carbon footprint and eat more intentionally, and we have come up with a plan of action that we think our chalutzim (campers) will LOVE. As of 2018, Ramah in the Rockies will only be eating what we grow in our garden. That’s right – kale, kale, and more kale! We will be upgrading our usual pasta to kale-based noodles and switching to powdered kale flour for our pizza crust. Though we know some of our campers may miss their usual standbys, we feel confident that even the pickiest eaters in our community will quickly adjust to our new camp-wide diet of organic, leafy greens. Furthermore, in order to conserve water, we have decided to embrace the trailblazing innovation of our campers who avoid showering at all costs. 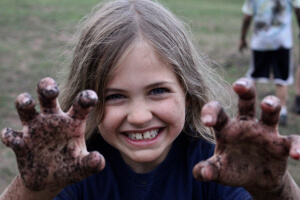 Starting in 2018, we will be encouraging all of our chalutzim to cultivate a healthy layer of personal dirt, which will also help to repel any potential bugs. To aid in this effort, we are demolishing both of our bathhouses. Those who desire cleaner hands for eating may wash their hands every so often in one of the property’s streams. 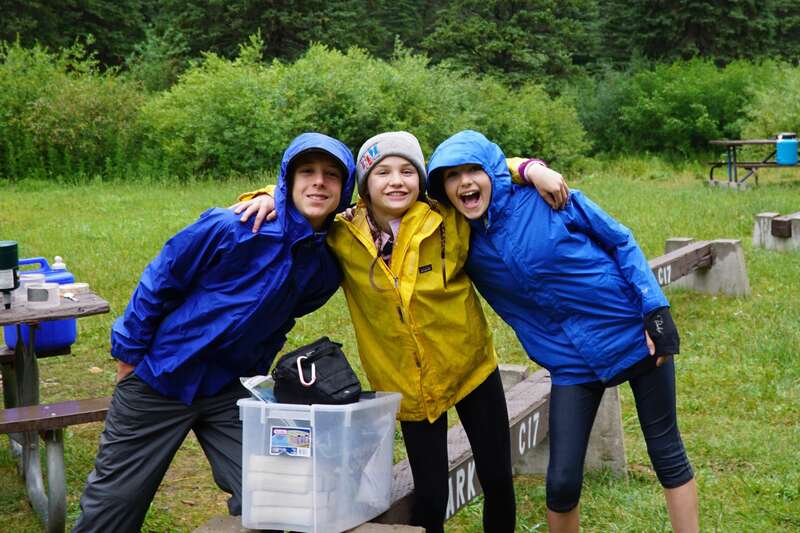 After all, if our chalutzim can survive without taking a shower while on masa (backcountry excursion), surely they can make it through a month-long session without touching a bar of soap! We realize that this change might cause the ohelim (tents) to smell a bit pungent and understand that not all noses are accustomed to this type of healthy aroma. Therefore, we have decided to do away with ohelim entirely! Rather than cozying up in their bunks at night, campers will deepen their connection with nature by sleeping beneath the stars – rain or shine. You may be wondering – what will make masa’ot unique and special when our campers are already sleeping outside every night and forgoing showers? Never fear! In 2018 we will be introducing a variety of amazing new masa options! From skydiving and bungee jumping to swimming with sharks, our chalutzim will never be bored. We will also be offering a Virtual Reality Masa, which will allow campers to experience all the fun of outdoor adventure from the comfort of our new Arts Pavillion. Though they will appear to be laying on the floor in silence for days at a time, they will be summiting Pikes Peak in their imaginations! The adoption of Virtual Reality Masa has encouraged us to reexamine our technology policy as a whole. After much deliberation, we are excited to announce that in 2018 we will be repealing our “no screen” rule and encouraging chalutzim to constantly livestream, tweet, Instagram, and Snapchat their Ramah experiences. In light of this change, we will no longer be uploading photos of your campers to SmugMug. After all, you can just check their social media accounts to see what’s new at camp! One last development that I’m thrilled to share is the pilot season of our new Tot Ramah Program! As you may know, we have recently expanded our Ta’am Ramah (Taste of Ramah) program into a four day, three night sampling of all of the fun activities Ramah in the Rockies has to offer. 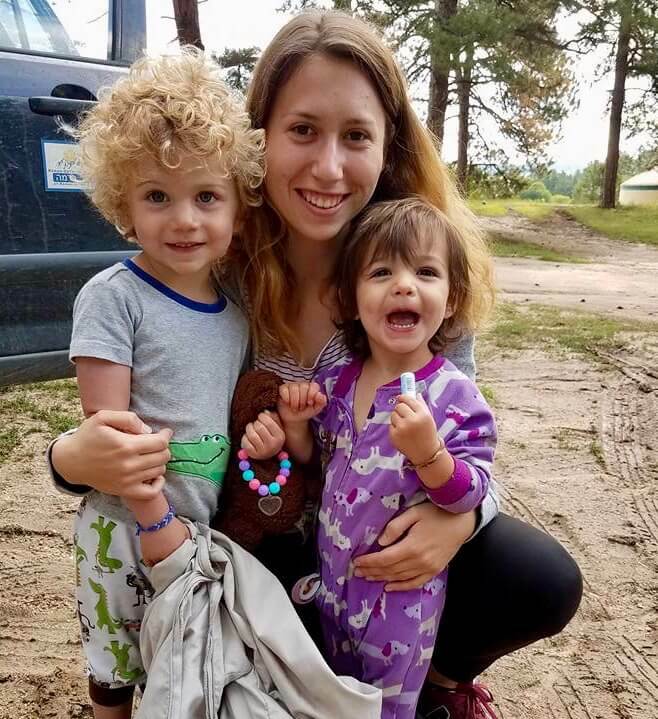 When this new program filled up within 24 hours of registration opening, we got to thinking about how we can share the magic of camp with even more kids, and Tot Ramah was born. Accommodating campers from infancy through toddlerhood, our new Tot Ramah program will prepare your baby for the backcountry with an intensive curriculum of mountain biking, rock climbing, and horseback riding! At Ramah in the Rockies, we are constantly trying to evolve and improve. I feel confident that all of these exciting new changes will ultimately make our kehillah kedoshah – our holy community – even stronger. P.S. 99.9% of the this update is made up. Wishing everyone a happy, silly Purim celebration!